The executor's role is complex and may involve a significant amount of time and responsibility. One of the executor's duties is to notify your creditors and beneficiaries of your death. Your executor must also value, protect and take care of your property. He must calculate and pay whatever taxes are owed on your pre-death income and estate's income. Your executor has a fiduciary duty to protect your estate and to be accountable for its assets and liabilities. The contents of your will are not "set in stone" until you die. You may change your will throughout your lifetime; in fact, periodically reviewing your will is a sound estate planning practice. As your wealth grows and your family's needs change, you may make changes, called codicils, to your will. You may also start from scratch and write a new will or change any provision of your will, including whom you designate as executor. You are not required to reveal the contents of your will to anyone, including your executor or former executor. However, it is a good idea to speak with the individual you want to designate as your executor and obtain his consent before naming him; thereby, giving him a chance to decide whether he wants to accept the designation. Similarly, you should consider telling your former executor that you have relieved him of his responsibility. Otherwise, if your former executor has a copy of your will, he might begin to act as the executor and execute a will that is no longer valid. Keeping your current and former executors informed may help avoid disputes between the two parties, arising after your death, regarding which version of your will is up to date. You may wish to tell your beneficiaries whom you've designated as the executor. You also may wish to disclose the entire contents of your will to your beneficiaries. 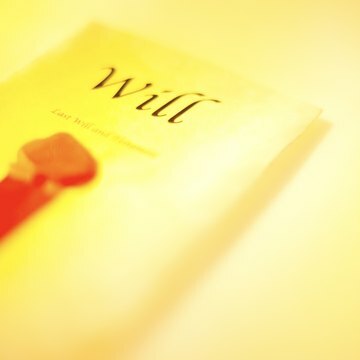 Although you may think your will clearly spells out your desires, ambiguities may arise when your will is interpreted. If you discuss your desires beforehand, you can clarify gray areas and help your loved ones develop realistic expectations for the future. If you want to nullify the executor on your will, you can amend your will by executing a codicil. Codicils are suitable for making minor changes such as removing an executor and naming a new one. However, if there are other portions of your will you want to change, it's advisable to make a new will that unequivocally and expressly revokes your existing will.